It's official: after BIONICLE G2, Mixels is the next LEGO theme to get the axe after this October's Series 9 hits shelves. SHOWS FINISHED AND DELIVERED...LAST EPSIODE PREMIERS IN SEPTEMBER. THANKS CARTOON NETWORK AND LEGO! GREAT FUN! I'm not surprised at all, to be honest. The line just has not been as popular this year as it was in its first couple, and most LEGO themes with media ties like Mixels only last three or so years anyway. Regardless, being a collectable theme I would argue it could have continued on just fine. But to be fair... I blame Cartoon Network's carelessness for the franchise and its fans. No matter what though, it will always be remembered. What do you think? Are you disappointed? Why do you think Mixels is ending? Leave a comment and let us know! I wasn't a Mixel fan, but do appreciate some of the parts they introduced. Coming so soon after the end of Bionicle though, I wonder what direction Lego will take their build able action figure lines in the future. It was a great way to get a bunch of small, versatile pieces in virtually every color, and to buy small sets that I could build with my three-year old (who has a three-year old's attention span). I never missed the chance to stock up when they went on clearance, but I do feel like the line has reached the end of its useful life. A great series that ran its course. Felt like it had perhaps run its course. Will miss it more for the useful component heavy sets and the pocket money price niche it filled rather than for the actual characters or the cartoon. Hope they come up with something new to fill the void. 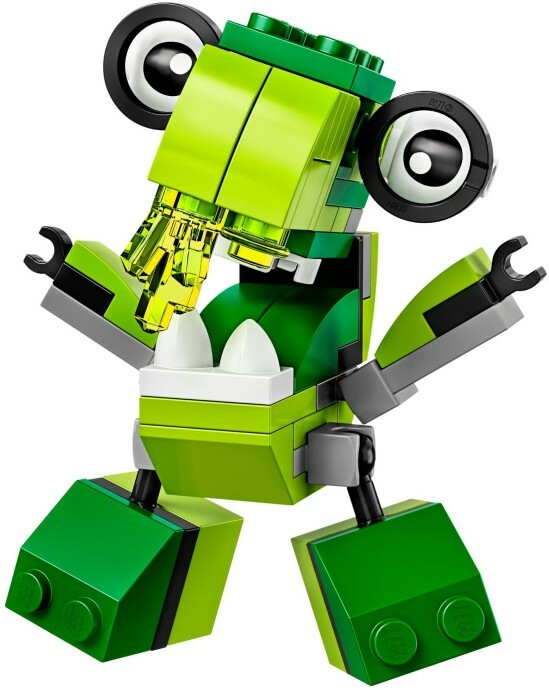 I appreciate some of the pieces introduced by the Mixels range but the actual sets are of no interest to me and I am glad that it is coming to an end, hopefully to be replaced by something better. Well it really saddens me that cheap part Packs are stopping. Never really got into Mixels, but I'm definitely a bit sad to see them go. The set designs got better as the series progressed, and I've picked up the Munchos and Medix. How about one last Mixels building competition? I love Mixels, and I've bought multiples of them all, so I'm sad to see them go. But it's had a good run. I guess it would be hard to keep innovating and making different designs series after series. There are they going, the best parts packs ever. Well, from another perspective, they became siilly after the initial three to four seasons. Didn't like the police/fire/castle approach at all (even the parts were bad then). I really liked mixels - not so much for myself, but as a pocket-money toy for the kids, it was so much better value than a mini-figure. Although I fell out of buying every Mixel after series 6, I'm disheartened to hear about its cancellation. They were fantastic parts packs and introduced one of my personal favorite set of pieces in years (that being their extremely useful joints). My only hope for the future is a theme of similar size and building style. NOOOOOOOO! One of the most creative themes LEGO ever had! It was fun for everyone - a great way to get nice pieces and lovely wacky creatures! I never really cared about animation (it had it's moments) but it's once again a HUGE WASTED MARKETING POTENTIAL. "after BIONICLE G2, Mixels is the next LEGO theme to get the axe"
Little harsh there, don't you think? I don't see what's so bad. Plenty of Lego themes get a three-year run. Maybe this is all that was planned and is all we were ever going to get? Personally, I don't mind. I've been collecting every Mixel since they came out, and frankly, my shelf space is dwindling. But it'll be nice to view a full collection sitting there. ^ Not being harsh, just stating the facts. It's not bad - just disappointing as Mixels is my favorite theme and I'm a bit bitter about the terrible treatment on CN's side of the partnership up to this point, which might explain the cancellation. I'm completely aware that most themes last a good three years; I said that. But that doesn't mean I'm happy about it. And same here! Series 9 is the last thing I'll be able to fit in my display, so it works perfectly. I only came out of my Dark Ages this year, so I missed most of the previous years of Mixels. I've really taken to the theme and have been Brickllisting most of the prior series. I'm only missing some of the sets from Series 1-3. I absolutely loved the Mixels theme because of the low price, the small builds, and the strong encouragement to MOC my own Mixels. As a very beginner MOCer, I had no self-confidence in my ability to build interesting things. So seeing the many ways that Mixels created a small interesting build with a limited number of pieces has really been inspiring to me. I've been much more creative as a result of Mixels than I ever was before. I'm *very* sad to see it go. I care nothing at all about the animated series, but if that's being canceled then I fully understand why TLG would end the series. But I'm really looking forward to see what they replace it with. Having something under US$5.00 with a nice wide selection of colors & diverse parts has been fantastic. I really hope they replace it with something else that will allow us beginner collectors to expand our parts collection at a reasonable price. I also really enjoyed the opportunity to play with so many different designs in the sets. I think the designers did a wonderful job showing the range of diverse things that can be created with just a very small number of pieces. Man, Mixels was such a big part of me getting back into LEGO, big shame to see it go, but I can't thank it enough for bringing me in. Wasn't a big fan of the theme myself, but loved the great selection of parts that each pack introduced. @markkawika Just to let you know, Mixels was (is) a complete co-production between LEGO and Cartoon Network. So if the sets end, the show ends. If the show ends, the sets end. As such. It's not like Ninjago, Chima or Nexo Knights where LEGO commissioned the shows. But has it been confirmed that the sets will end, or just the show? When I first got back into LEGO at the end of 2014, I thought these were the dumbest, ugliest things I'd ever seen. It didn't take me too long to realize they were a cheap way of getting interesting parts (including some printed pieces). And the characters did grow on me after a while. I'll go ahead and be optimistic that this theme will be replaced by a new theme I'm also alright with. Doesn't break my heart, though. Sounds like most people on here feel about the same. I never really liked Mixels much so really this news doesn't effect Me at all. I only ever got one from the first series and that was it. Never got one (weren't much in local stores), but several looked interesting. Sad, but not surprising; I could tell LEGO was running out of good ones to make. It´s disappointing, but I didn´t know the sets sold bad? I thought those small packages of rare pieces to a pocket-money price appealed to everyone who liked Lego. Hope Lego makes a theme like this again. Nooooooooooooooooooooooooooooooooooooooooooooooooooooooooo! I loved Mixels they were a way for kids to get cheap fun and creative Lego. Also Lego you are evil!!!!!!!!!!!!!!!!!! NOOOOOOOOOOOOOOOOOOOOOOOOOOOOOOOO! THIS IS/WAS LEGO AT ITS FINEST. There was a mixels show? Genuinely didn't know that. I'm very disappointed. My Youtube channel is specialized on Lego Mixels Build. I have to find something else to build now lol. I'll be sad to see them go. The Kiddo adores them. Booo! They were creative and fun to display on my desk until all the tiles and cheese slopes started cracking for no reason. These sets are a lot of fun and I love the parts / colors these gave us. Never knew about a Mixels TV show before reading about it on Brickset. Awe! i actually really like this theme! They were fun to collect and to make MOCs with! I get that want to end it, but at least make a series 10 to end it, and an episode to explain what happened! Mixels were the acme of LEGO: cheap, adaptable and inspirational. Even the ones we didn't part out, merge or modify became useful allies or deadly villains in our stories involving the minifigs. Like others, I had no idea there was a TV show until, a year after I bought my first of fifty, I looked closely at the Cartoon Network logo. Still, we're ending on a high: http://brickset.com/sets/41573-1/Sweepz - a pompom-waving horse with a brush up its bum! Quite honestly I think Lego is going to take a hiatus from the whole buildable figure stuff for a while, which I think is good thing. Every time I go to Walmart the majority of the Lego I see on sale are the Bionicle and Star Wars constraction figures and the Mixels. This is a genre that I believe is no longer profitable for Lego and it makes sense for them to back away from it for a while. I think most kids (and as a child I would include myself in this) would rather have the actual sets and minifigs than large figures. This isn't just in the Lego market either, those Hasbro Marvel and Star Wars build-a-figure line are sitting right next to the Bionicle and Mixel stuff at my local Walmart clearance. Lego has proven that Ninjago is their franchise of this decade (like Bionicle was in the 2000s) so I think Lego should now focus on that theme as it's flagship theme for the time being. Really appreciated them as cheap ways to get really unique parts in (generally) an equally unique range of colors. Hopefully aftermarket prices for these won't be too high. That's a bummer! I really enjoyed the sets (and parts). Sad to see it go. This is unique theme because of the cartoon characters in it. I love the theme for it's characters and the inexpensive price of the sets. I love Mixels. I've been buying them since the beginning, and they're really the only new sets I've bought for the last few years. But I'm tired of collecting them, and I'm relieved that the end is in sight. Well, at least we still got NinjaGo & The Nexo Knights huh? This is sad news to me. I love the Mixels, I started collecting them around Series 3 and made sure to grab up 1 and 2 because I liked them so much--they're really what pulled me out of my dark ages and I have multiples of quite a few just because they're that great. Never saw the TV show, so whatever. I'll be sad to see them go, I hope there's something on the horizon that serves a similar purpose. Do we know for certain that the show ending means that the series is ending? Cartoon Network does a lot more than just shows these days… they've been really expanding into mobile apps lately, including with Mixels. It's not entirely surprising if Mixels is ending next year, as a three-year run is quite respectable and the LEGO Group might be interested in moving into similar products that don't hinge so heavily on Cartoon Network's cooperation. But I feel like it's a bit hasty to assume "end of the show=end of the theme" when from the beginning the animated shorts have been just one part of the brand's promotional strategy. I bought a lot of Mixels at first just to get the new small ball joint pieces. I would buy lots more if the joints were produced in more colors. I think we all saw this coming. I'm sad about this (if the end of the show really also means the end of the series, although it sounds possible). I liked the Mixels and bought lots of them. Kept a few after building them but I mostly loved them for the unique parts and colours. Think they could have done with a few more themes and rare colours. I bought the Mixels for their unique parts. Like all companies, resources are limited, with more and more sets released each year they had to start the trimmings on less profitable themes. Sadly I never really understood the usefulness of them as possible parts packs. I can't say the characters really appealed to me at least mostly. I did pick up a few recently just to see what they were all about and enjoyed those few I bought. However I actually liked those characters as well. So does TLG have plans for any new themes or series in the near future? Two done and gone and it would seems a few more are about to expire as well. Loved the first sets of themes, but as none of the City-esque or otherwise themed (pirates, castle, etc) sets interested me at all. I have some tribes, but not entire sets. I liked them well enough -- using hats and helmets as eyelids was pretty cool. This seems like a real shame. I never really collected these, but I was always able to appreciate the interesting and unique designs every time they were revealed over the past couple of years. I do enjoy the few Mixels I have bought, and love the brand new elements the theme introduced. Hopefully LEGO has something good in store to replace our ravenous desire for new parts! As an AFOL, and a father of 2 young boys (FOKFOL? ), I really appreciated this theme. Compared to vehicles and buildings, there is more room for creativity when building our own creations. Not including the dozens we gave for kids birthdays parties, I purchased 3 of each sets. So 3 (years) x 3 (series/y) x 3 (tribes/serie) x 3 (sets/tribes) x3 (copies purchased) x 3 (average ball joints/set?) = 3^6 = 729 grey ball joints! Sad Mixels is going away. Mixels was the perfect theme for my three children. With each series each kid got to pick a different tribe. The good news is we got started collecting Mixels with series 2 (went back and purchased series 1). So one more series to go and we'll have 100% of a Lego theme. I'm sad to see Mixels go! They had such a great range of variety and color and they're a great, cheap set to build when I need to de-stress. I feel like they're just hitting their stride with the most recent series; Tuth is an incredibly solid little build and packed with personality, probably my favorite Mixel to date. The upcoming dumpster fellow looks like another great build and a good way to get orange fish for cheap. I hope Lego will fill the gap with something just as cute and fun (and inexpensive)! I never really understood the appeal of the Mixels themselves, but I liked them for their pieces, and they were interesting and quirky. I'll probably end up collecting more of them, now I know the line is ending soon. Been collecting them since Series 1. But have only built them up to Series 4. They were getting more uglier/ridiculous looking as each new series arrived. Not bothered that they are ending. Good parts packs though. I only have three Mixels - one of which was given to me as a present - and I found them to be three of the least disappointing sets I've had in a while. I enjoy how they look and the clever techniques sometimes used, plus I think they're extremely good value for money compared to a lot of sets. I enjoyed the first one or two series. Then I guess I had enough of the actual Mixels themselves. I still love these as cheap and interesting part packs though! I loved the Mixels and so did my 6 year old nephew; they're great little models with lots of character and a cheap way of getting hold of lots of new and rare parts. I shall miss them. I've been collecting them since Series 2 and I always intended on buying Series 1 on the aftermarket, but the prices have never really dropped. Admittedly I wasn't carried away with Series 7 and only have the Mixies and Camillot so far, but Series 8 and 9 look great. On the other hand, if the series has ended and they weren't selling well, I guess it makes sense. As many others have said though, I hope they're replaced with something equally fun and affordable. Excellent part packs(as the most of us said)...I've only bought surgeo as a set but many more for their great parts.Very dissapointed! "But to be fair... I blame Cartoon Network's carelessness for the franchise and its fans." What proof do you have that makes this statement you being "fair". You offer none in your article that reads like a Facebook political rant instead of what I expect from a Brickset news article. 1. Ninjago, which was very popular, came to a rather abrupt end after three years before more sets were developed and released. 2. Chima, which was not very popular, came to an end after three years. 3.Mixels is coming to an end after three years. It seems to me that TLG is committed to giving new themes that have ties to Cartoon Network a three year initial run and then moving forward from there. I really don't think it's "fair" to blame Cartoon Network when it truly appears that Mixels is just running the same course as others themes. I was sceptical when I first heard about Mixels. I said it was a theme I would not need to buy. How wrong could I be...! and then topped up with bargains when they went on sale. Great little packs for some interesting parts. joints in Grey and Dark Grey. I think TLG could reproduce similar sets to these in a few years time when the Mixels cartoon gets franchised around the world. But boost the sales with coloured joints. Awwww. :( I surprised myself by getting really into the Mixels this year, and looking at the progression of designs it seems like they were getting better and better. However, I do wonder about how well they sold, because I've never been able to find current themes easily - the latest ones still aren't in the shops near me. Admittedly, I don't have easy access to any of the gigantic toy warehouses, but it does give me pause. Darn my kid and I will hate to see these go, there's just so many great unique parts and fun to build, mix and rebuild into the max tribe mixel (maxel?) but we honestly never really liked the show, so it's too bad it was linked together most likely causing its end. However, I'm glad to have thought ahead and have unopened backups of series 1-8, as the earlier series sell for far too much for anyone to really grab extras or to get into if they missed out without breaking the bank. Chalk me up as yet another person who'll be sad to see the mixels go. They were excellent bang for your buck both in terms of weird parts and in terms of fun, unusual builds. Going through three themes every series meant there was a lot of variety, too. The first one that caught my eye was Jinky from series 5. I had vaguely seen mixels before but not been interested as I wasn't buying lego at the time but Jinky's high level of articulation made me try the line out. I was impressed and now I have nearly all of them plus some duplicates from clearances. They're wonderful if you like building small mechs and robots. I would definitely say that they had plenty of themes left to experiment with so hopefully we'll see something similar in the not-too-distant future. @ericjohn As I mentioned, Mixels was a COMPLETE co-production between Cartoon Network and LEGO. A bit different than Ninjago and Nexo Knights. CN never adequately held up their part of the deal since the beginning of 2015 (only the second year of the theme, where the first year was shorts), as the show is the majority of the theme's promotion and the measly two 'specials' we've gotten a year since are barely advertised. If they actually attempted to make the show popular nowadays I am confident the theme would be continuing. If the very-much-reran-and-promoted shorts continued after 2014, for example. I may be reporting the news, but I can have an opinion too. I am very sorry I didn't elaborate further with that sentence originally, though. It was an awesome Lego set. Probably the best all time. I'm so sad to see it go. 2017 needs something good. Nixel Nixel Go Away should be an hour long. I have all the Mixels currently and knowing series 9 will be the last series will be sad but will also be more space on my shelf for Skylanders and Pokémon Figurines! CN was treating it unfairly with the Specials(QFTLM was good but EKHID stank). They didn't give enough screen time to Tapsy and the Weldos. If they had screentime in NNGA it would be a joy. I also like Bionicle and I'm going crazy to find every single reboot set. I have a lot right now. Maybe in 2017 they'll bring back Power Miners. I can't wait for a Power Miners Reboot coming in the future. Probably the best replacement for Mixels. Thank you, Cartoon Network and Lego and everyone who worked on the show and sets. Thank you to everyone who I met throughout the show's run for being awesome friends and supporting me. sorry to see them retired though as they do look smart when built.. I can't even recall seeing these sets anywhere here where I live. The show is a non-entity too. But seeing reviews for them sure made me wish they were introduced here in force. Some of these pieces sure look really really handy to get. Probably the best Lego theme? Still had potential. @TheBrickPal: Yeah from me as well!! And as for the Mixels one final thought. It's a weird feeling knowing that the fate of a theme of Lego sets could be at the merci of the success of a TV show on some obscure pay-TV channel hardly anyone knows or watches (over here). There used to be a time when CN was a popular free-TV channel over here as well, but since it has gone off the air it seems to have faded into obscurity, especially after successful replacements like the Disney Channel or German TV stations catering expecially for kids like KIKA or Toggo became available. Again, very sad to see Mixels coming to an end. I think it's unfair to say Cartoon Network "didn't hold up their end of the deal" - are you privy to the details of the contract? If CN had been in breach of it, Lego would be taking legal action! I get that people are disappointed their favourite theme is ending, but most themes do go away after a while, whether "one-and-done waves" or longer term themes, e.g. Monster Fighters was popular but got only 6 sets; Harry Potter seems to be much loved and missed, but would that be the case if it was around perennially? Just look at the complaints levelled at Star Wars to see that familiarity can indeed breed contempt. It's time for something fresh. Who knows what TLG have in store for next year? I am fairly sure they will want to keep having something in the pocket money range, like Mixels and the Friends animal packs before those, so we will just have to wait and see. Hopefully they take what's going on with this and just put a different spin on it. As LostInTranslation stated there is something to be said about having different themes come out. there is too much that is a retread, even some of the Ninjango is starting to look similar. I would like to see more polybags take the place of Mixels myself, but I would be happy with anything that gets kids into the brand. I'd certainly be interested in a Mixel competition of some sort to commemorate the theme. First few waves were in my dark ages but I have come to love the little chaps. Ah Jeez. I'm gonna cry now. This series had so much potential. Wheelies, Sportos (Olympics), Revisits of the Cragsters and Electroids. Maybe even the Flexers and Spikels. All i know is that I'm really gonna miss the Mixels. Hearing this has officially ruined my day. They should make the cartoon forms of the Mixies and Medivals Max. CN forgot about it so much that Mixels.com only has Series 1-3. If they updated it to this current Era, we would've learned a lot more about Mixels. I might lose interest in Mixels because DBZ, Nintendo, and Skylanders are grabbing my pants right now. Every good thing gone will bring something better. @LostInTranslation -- The thing was not that CN was breaching the contract -- they were minimalizing their work as far as they could to not be in breach. That means making as little animated content as possible (a single half-hour special every time a set releases...even then Series 5 and Series 8 had to get merged into single specials with the ones following them) and even taking out reruns, aside from airing the old shorts on Boomerang at random times. The Mixels had a lot of potential for storytelling but they only got to tell their stories once every half a year, and once again, that even refers to reruns. This is sad to me - I thought the Mixel characters were charming and great for younger Lego enthusiasts (my son built his first one when he was 4) -- and I also liked that there wasn't heavy cross-media promotion like with Ninjago. We need a reboot in 2020 or something. Like with Bionicle.. But it didn't end well. Fanbases got all the power!!! We can spam emails to Lego saying DO A MIXELS S10! Like with Ninjago and Bionicle. BUT DO IT WITH POWER MINERS AS WELL!!! Mixels were ok, my two younger brothers love them to pieces (pun intended) only thing that really bugged me about them was their hip joints were always on backwards (a cup at the hip and a ball on the leg) when they'd be so much more pose-able the other way. sad to see them and Bionicle go, but it does make me wonder what TLG has planned for us next... maybe hybrid figures with both CCBS and Mixel-Joints?